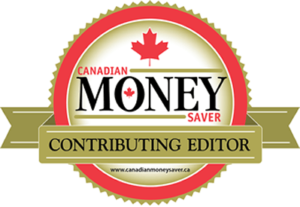 TFSA vs. RRSP is one of the most common questions I am asked. If you want to know for sure which is better for you, then you need a financial plan. Rather than just having an opinion, there is a precise right answer specifically for you. To the extent that you know your present and future marginal tax brackets, you can calculate a precise optimal contribution for RRSP and TFSA for each year, as well as the optimal amounts to withdraw each year after you retire. The decisive factor is your tax brackets now vs. after you retire. Most people just assume they will be in a lower tax bracket after they retire, because their income will be lower. In many cases, that is not true. When you include the clawbacks of government income programs that affect everyone over 65, many seniors are in shockingly high tax brackets! The clawbacks cost you actual money and are the same as a tax. 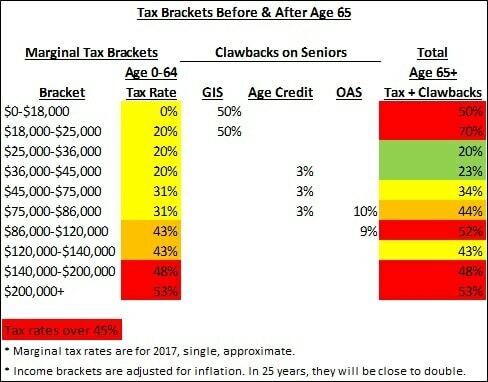 The 3 main clawbacks are the 50% clawback on GIS for low-incomes (under $20,000), 15% clawback on the age credit for middle incomes ($35,000-85,000), and the 15% clawback on OAS for higher incomes ($75,000-120,000). You can own the same investments in your TFSA as your RRSP. The main difference is that RRSP contributions and withdrawals have tax consequences, while TFSA contributions and withdrawals don’t. Lower tax bracket when you retire: RRSPs are better. For example, if your income is $100,000 and you will retire at $35,000, you get a 43% tax refund on your contributions today but only pay 20% tax on all your withdrawals after you retire. That is a 23% gain on the full value of your RRSP. Same tax bracket: Not a big difference. The 2 other key factors below may give you your answer. Higher tax bracket when you retire: TFSA is better. For example, if you earn $40,000 today and will retire at $20,000, you only get a 20% tax refund on RRSP contributions now, but will pay 70% when you withdraw (including lost GIS). A TFSA saves you a 50% loss on your entire RRSP. How you use of your tax refund. Whether the flexibility to withdraw from your TFSA is good or bad for you. TFSA is probably better for you if you will spend your RRSP tax refunds. If you contribute $10,000 to either an RRSP or TFSA, but will spend the refund, the TFSA will provide you with higher retirement income, because you won’t have to pay tax when you withdraw. The flexibility with TFSAs is that you can withdraw from them without tax and you get back the contribution room to recontribute the following year. Flexibility is good, but it is often tempting to raid your retirement nest egg. If you cannot resist, then RRSPs may be the better choice for you. Optimal planning means trying to retire with a taxable income in the green low-tax brackets (or the yellow mid-level brackets). Your cash income that you live on can be quite different than your taxable income. Withdrawals from TFSA are not taxable, non-registered investments may or may not have lower tax, and you may have other tax deductions. Start with your work and government pensions. The basic government pensions can give you up to $20,000 of income. OAS is a maximum $7,000 (based on years resident in Canada) and CPP can be between $0 and $13,000 depending on how much you paid in over the years. Then calculate your income from RRSPs, TFSAs and other investments to plan for the right mix. For example, if you earn $80,000 today and will retire at $50,000, you may think TFSA is best, since you get a refund of 31% today, but would pay 34% when you withdraw. However, with only $5,000 of non-taxed TFSA income, your taxable income is down to $45,000 in the green 23% zone, so RRSP becomes better. In this case, you need enough TFSA to give you $5,000/year income and the rest should be RRSP. Finally, make sure to adjust all the retirement incomes by inflation. In 20-25 years, they are expected to be roughly double. You may assume that just maximizing both TFSA and RRSP is always the best answer. However, if your taxable income in retirement will be a much higher tax bracket, non-registered investments might be better than RRSP. If maximum TFSA contributions do not get your taxable income down to the green low-tax zones, you can get more cash income at low tax rates using non-registered investments. For example, if your income is $80,000 now and you plan to retire on the same income, you get a 31% refund now but pay up to 44% on withdrawals. You can only get $45,000 of taxable income after you retire at lower rates than your current bracket. If you will get $20,000 from government pensions, then you need enough RRSP to give you $25,000 of income. The rest should be TFSA, but TFSA won’t give you enough. You need $35,000 more cash income. Therefore, non-registered investments might be better for you than more RRSP. Non-registered investments may or may not be taxable, depending on how you invest. Interest income is fully taxable. Capital gains are half taxable. Dividends receive preferred tax rates, but higher clawbacks, because the income for calculating the clawbacks is “grossed-up” by 38%. The worst case for non-registered investments is a dividend for a senior making $20,000. A dividend of $1,000 will have a clawback or 50% of $1,380, or $690. Income tax is actually negative $70, but the total tax + clawback is $620 of the $1,000 dividend! You can get a very low tax rate on cash income from non-registered investments by just selling a bit each month. This is the lowest tax rate on non-registered investments. I call this “self-made dividends”. Your cash income is a combination of capital gains and your original investment, so the tax is very low, typically only about 10% of your cash withdrawal. RRSP – Reasonable working income and modest retirement savings or pension. – Most with high working income (over $90,000). TFSA – Low working income (under $45,000/year). – Reasonable or high working income with no retirement savings or pension. – Reasonable or high working income with large retirement savings or pension. These terms are very general, but “modest retirement savings” means something like $150-300,000 when you are in your 40’s and say $500,000 to $700,000 when you retire. With inflation, this would be about $1 million to 1.4 million in 20-25 years. RRSP’s have an advantage for those with working taxable incomes over $50,000 retiring between $25-45,000. This would apply if you have modest retirement savings, but not if you have essentially no savings or a large nest egg. TFSAs have an advantage if your retirement income will be under $25,000, or if it will be over $75,000 and you make less than $140,000 now. A financial plan will give you your right answer. With the complexity of the tax brackets and clawbacks, plus all the available options you can plan for, there is a huge opportunity to save tax over your life with effective planning. 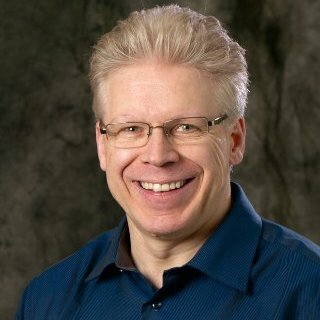 I find that when my retired clients have a significant RRSP or pension plus a significant nest egg that is TFSA and non-registered, we can plan their retirement income very effectively. We can decide how much to withdraw from each source each year. A good nest egg in both a TFSA and an RRSP gives you all kinds of planning opportunities to minimize tax after you retire. With a financial plan, you will know your income and tax brackets throughout your life and you can plan the optimal strategy for you. With a financial plan, you do not have to ask whether TFSA or RRSP is better. You will know precisely the right answer for you.